Exciting crop innovations and in depth conversations on how arable varieties perform and suit farmers in the west, were very much the talk of the Arable Event in Shropshire this week. With 800 attending Woodlands Farm, one of Syngenta’s platform sites, hosting 64 trial plots, it provided a great opportunity for farmers to see what’s new in the sector, what's around the corner, and most importantly, how these innovations perform in the local area. Syngenta Business Manager Rob Farrow, explained that they were also excited to be able to preview SOLATENOL™, their powerful new SDHI fungicide for the first time in the west. “Farmers really want confidence that new products and varieties are going to deliver at a local level in their situation, under a similar climate and weather conditions. “Our season is always slightly later than East Anglia, so local technical events like this allow farmers to make informed crop decisions for the coming season, based on local knowledge and experience,” he added. “It’s early days to see results on the SOLATENOL™ plots as the T2 application it’s intended for has only been applied relatively recently. However, we know from the extensive development work carried out over several years, in over 700 field trials, that irrespective of the disease levels, SOLATENOL™ has proven itself. “It has delivered consistent yield results with complete leaf protection inside and outside the leaf against key diseases farmers’ face. 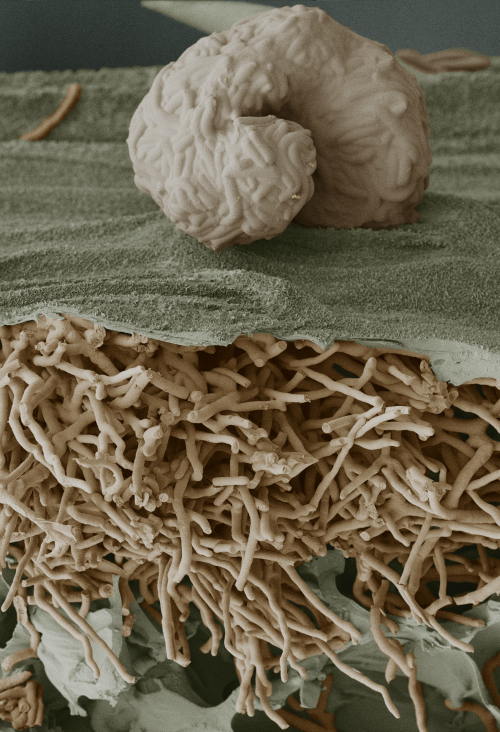 “At the event we had some great giant 3D electron microscopy images on display that really demonstrate how quickly Septoria and yellow rust disease takes hold inside the leaf if left untreated before farmers can even see a visual sign of any damage on the leaf. The event was organised by Wynnstay in conjunction with Syngenta and other partners. Visit the following links for more information about SOLATENOL™ and where you can see the product in the field.